After making some changes in your diet, that scale should start to go down. 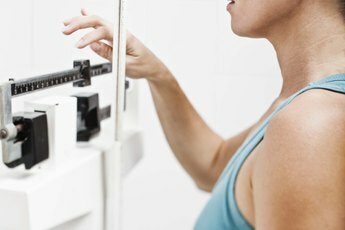 When your body mass index, or BMI, is high, your physician will most likely raise an eyebrow and have a serious discussion with you about shedding some weight. 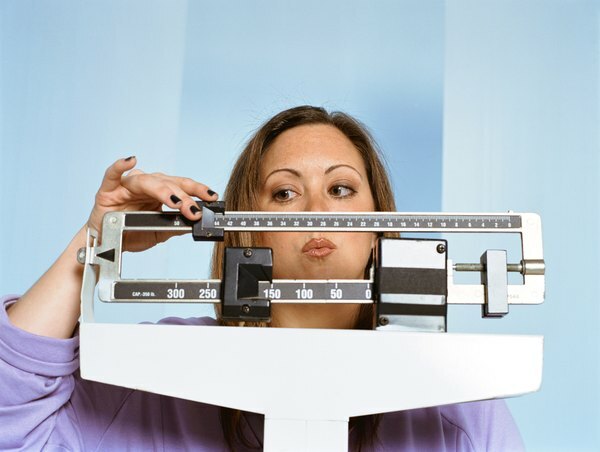 Having a high BMI means that your weight is a bit high for your height. In many cases, a high BMI -- over 25.0 -- puts you on a path to developing diabetes, heart disease and other chronic conditions later on in life. 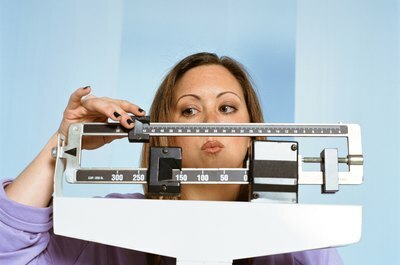 One pound of body weight is equal to about 3,500 calories, explains MayoClinic.com. So if your goal is to maintain a healthy and steady weight loss of 1 to 2 pounds each week, you’ll need to burn 3,500 to 7,000 calories weekly -- 500 to 1,000 calories a day. That’s a lot of time at the gym, but you don’t actually have to burn off all those calories. You just need to create a deficit of calories, meaning use up more calories than you take in. Rather than going overboard on a new exercise routine, aim to burn around 250 calories a day, and then cut 250 calories from your diet -- totaling 3,500 calories weekly -- to get to a weight reduction of about a pound each week. Simply adding more water to your diet can set you up for weight loss success and help lower your BMI. A 2010 study reported at the 240th National Meeting of the American Chemical Society evaluated the benefits of water for weight reduction. Research participants who drank two 8-ounce glasses of water before eating each meal consumed 75 to 90 fewer calories from that meal than those who did not drink the extra water. By the end of the 12-week period, water drinkers were around 5 pounds lighter than participants who didn’t drink as much water. Skipping meals will only up your chances of feeling hungry and overindulging during your next meal. Rather than going to bed without dinner, get in the habit of trimming calories at each meal. Nix that morning latte, for example. A 16-ounce mug has upwards of 250 calories. But if you have black coffee, you’ll only get a trace amount of calories. If you know that you get a rumbling in your tummy in the afternoon, pack yourself a bag of air-popped popcorn, rather than coins for the vending machine. A 3-ounce bag of ranch tortilla chips has 425 calories, while 3.5 cups of air-popped popcorn provides 110 calories. In place of a full glass of juice, pour yourself a small glass, or 4 ounces, and dilute the rest with water or make a spritzer with seltzer water. You’ll cut your calories in half. 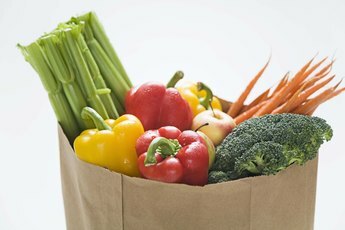 By making these small changes, you’ll quickly cut calories in your diet. Aim for getting 14 grams of fiber for every 1,000 calories in your diet -- 22.5 grams for a 1,600-calorie diet, the Dietary Guidelines for Americans 2010 states. Fiber is extraordinarily helpful for your weight loss efforts. High-fiber foods -- think veggies, fresh fruits, legumes, nuts and whole grains -- take longer for you to chew, so you're less likely to devour your whole plate. Plus, fiber sits in your gut for a while, making you feel satisfied long after you eat. Of course, you’ll have to exercise too, but start off slow if you haven’t been active in a while. 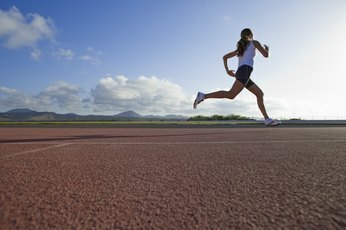 You need at least 150 minutes of moderate exercise each week plus two days of strength training, reports MayoClinic.com. Walking for an hour at a pace of 3.5 mph -- a 17-minute mile -- uses up 300 calories, if you weigh 155 pounds, or over 355 calories if you are closer to 185 pounds. If you can take a low-impact aerobics class at the gym, you’ll shave away 410 calories per hour, if you weigh 155 pounds, or nearly 490 calories every hour, at a weight of 185 pounds. On days when you work with weights, you’ll melt off about 110 calories in 30 minutes at a weight of 155 pounds. But if you’re at 185 pounds, you’ll burn over 130 calories in the same amount of time. 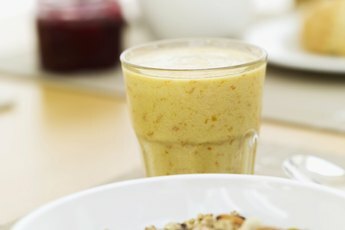 MayoClinic.com: Weight Loss: Ready to Change Your Habits? Can You Lose Weight Eating Lower Calories but High Sodium?